YouTube was started on February 15, 2005, by three former workers of PayPal and now YouTube is a free video sharing website that lets people upload, view, and share videos. At the moment Google owns and operates YouTube. Many different types of videos can be put onto the website, such as educational content, animations, and funny stuff. Moreover, YouTube is the best platform for English learners too. 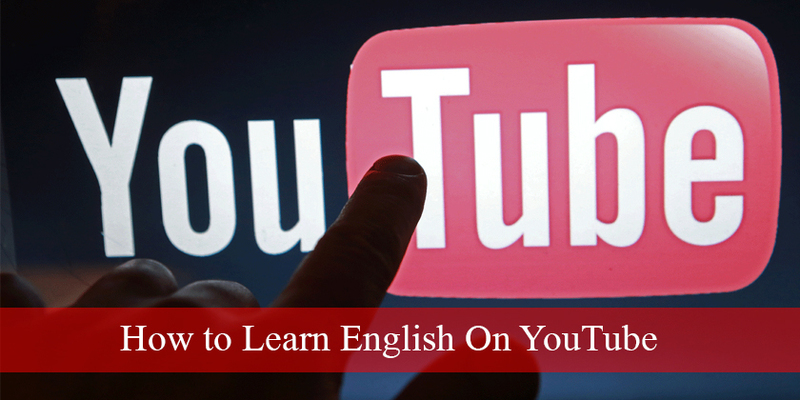 In this article, I am going to tell you how to learn English on YouTube and some of the features on YouTube that can help you make anything you’re watching into a learning experience and will introduce 5 best YouTube channels to learn English. You might have read many English books, grammar, or conversation chapters in English. Today start doing something different. You can maximize your learning from YouTube. There are some features on YouTube that I don’t think you are aware of. Don’t worry, I am going to tell you how to use them, and how to actually watch videos on YouTube and maximum learning capacity, or your ability to learn. So let’s get started. There are some strange buttons that some of you are aware of what they are, and some of you don’t know. And unfortunately, if you don’t know, you’re missing out on some of the best tools to help you how to learn English on YouTube, or anything on YouTube. 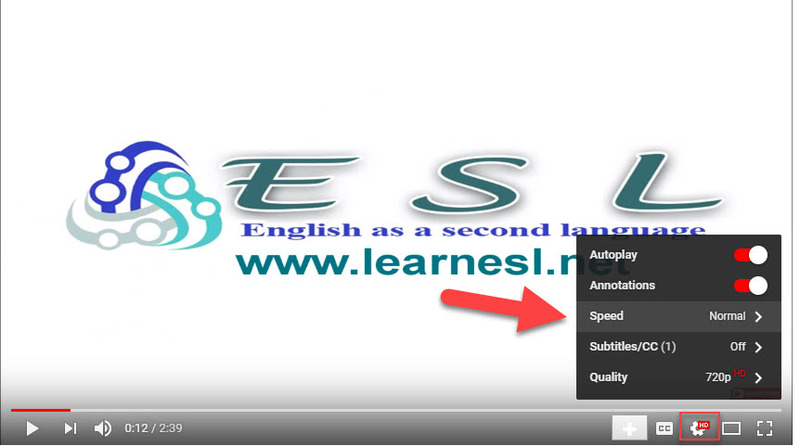 Indeed, there are three buttons on YouTube which are very helpful for ESL learners so let’s take a look at the buttons. First thing is CC. You can see where it’s located in the picture below. Do keep in mind that depending on what system you’re using, and over time, YouTube changes where these things are, but they should essentially be there. So remember: If you’ve got an app or a different type of system, it might be a little differently placed, but it essentially will be the same. “CC” means closed captioning. For some of you, that means subtitles. Those are the words that are appearing underneath when a person is speaking. Why it’s important to know that? Well, it depends on the level of your English. If you are a higher level because it handicaps you or makes it difficult, because you tend to read, or you have the habit of reading instead of actually listening. But if you’re new to the language and you don’t know any of the words, and there are a lot of words that you don’t know, it’s a good thing to have subtitles so you can read along with the speaker, and that helps you to understand. So you can use the CC button to turn on the captions. Now if you’re a high level of English learners I don’t recommend you using the caption button. You can listen to the speakers, write down notes, see if you got it correctly, and then turn back on the closed captioning to see if you’ve done a good job. The next button is the gear button. The one operation I want to talk about is actually the speed setting. This is especially good for people who want to increase their comprehension or improve their listening skills. If it’s not a comprehension, just catching the language. You’ll press the gear button, and once you go in there, there are several options. The only one I’m going to speak about right now is speed. This one’s for you. Go to the settings, or the gear, and press speed. You’ll notice you can go faster or slower. Now it depends on you if you want to challenge yourself you can speed it. Or make it slow, and you get hearing a slower speed. If you have just started learning English, go slower, and it makes it much easier for you to understand every word a person is saying. This is an amazing option to help you learn English on YouTube. Besides the speed button, there are other options on gear. Quality: you can use this option to select from different qualities that a video can have, starting from starting from 144p to 1080p. AutoPlay: which plays the next video automatically and Annotations which adds a comment or remark to a video. For some people, this option is not a big deal, but if you use this option the picture will get bigger, and you will take the view of the whole screen. Sometimes that’s really helpful, because sometimes if any text is small and you can’t read it properly by using full screen it can be visible properly to you. 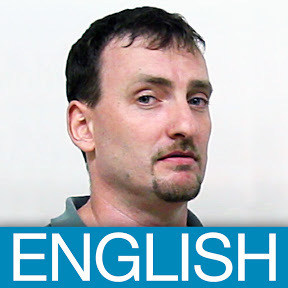 The YouTube features I mentioned here will help you a lot in learning ESL. Now, do you know what to watch or which channels will help you a lot to learn ESL? YouTube has a lot of English language lessons and English language learning channels that are available for free. Below I introduce 5 best channels for learning English on YouTube. Whether you are a child, teenager or adult, absolute beginner, intermediate or advanced ESL student, these channels have great lessons to learn ESL. 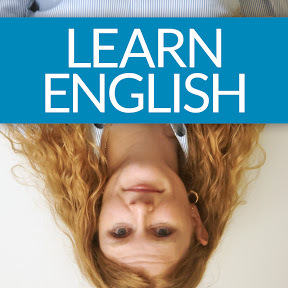 There are a lot of channels for learning English, yet engVid has managed to create a name for itself among the audience. This has proved to be the forte of engVid as it is full of videos for English learners. One can find videos on commonly used English expressions on a day to day life, common grammatical mistakes as well as tips for using slang, phrasal verbs, and other common expressions. Also, there is also a substantial amount of content for the English teachers and students preparing for various standardized exams such as IELTS, TOFEL etc. Each video is categorized by beginner, intermediate or advanced level so one can easily organize his learning as per his needs. After each video one can take a quiz to keep track of his understanding of the topic. One can also interact with others in the community to ask questions or clear their doubts. 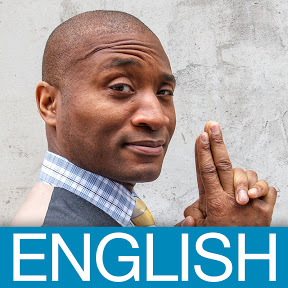 BBC Learning English is another awesome channel to learn English. Every day they have a new video and also they produce regular ‘extra’ videos across the week to help you learn the English language. They teach you about study skills, grammar, academic insight, student life, the English we speak and much more. Let’s Talk is a convenient way to learn English that combines audio and Video lessons. This channel helps you to improve your grammar, conversation, vocabulary, pronunciation, and IELTS. They are having 8 ESL teachers 1000+ free ESL lessons and 1.2 + subscribers. LearnEnglish Kids is the British Council’s website and channel for children around the world who are learning English as a second or foreign language. 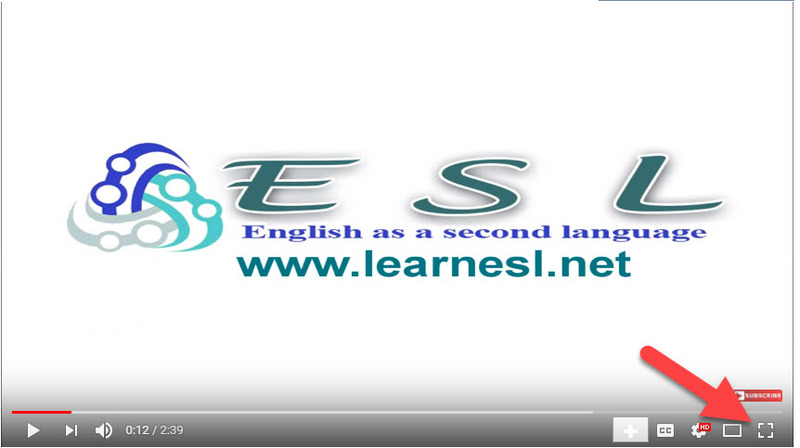 This channel was created on Dec 16, 2009, in order to help children learn ESL. Also, it’s an awesome channel for beginners who have recently started learning English. JenniferESL has quality instruction for all levels. They help you to become more confident and more effective communicating in English. 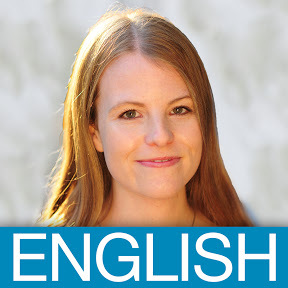 Here Jennifer teaches you about grammar, conversation skills, intonation patterns, writing skills and much more, and uploads new videos every Thursday. I’m an instructor who teaches ESL. I would like to write and share my experience through this website and help people learn English as a second language.